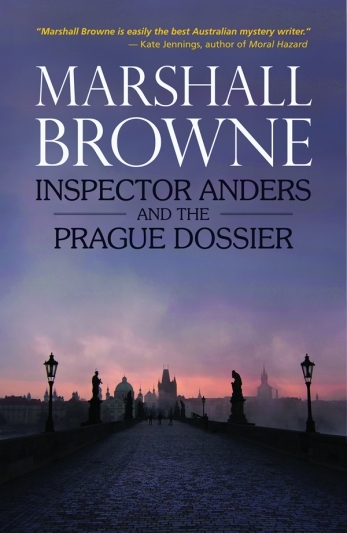 The battle-worn Inspector Anders – Europol’s top terrorism investigator and Mafia nemesis – is ordered to Prague, tasked with quickly locating a mysterious, unpublished dossier said to detail explosive allegations against the Czech Republic’s most eminent business leaders. But does the dossier even exist? And what lies behind the threats of its author, who – like the famous Kafka protagonist – styles himself as Joseph K? In the elegant city of Kafka’s birth, as the Inspector tries to make sense of the situation, persons of interest disturbingly follow a pattern, falling fatally from high windows. Clues seem to lie in the past, the Spring of 1968, in interactions between the ruthless communist secret police – the StB – and their victims. Historical truth proves a slippery concept, although its deadly repercussions still resonate for contemporary players, with whom Inspector Anders’ fate is now entwined.